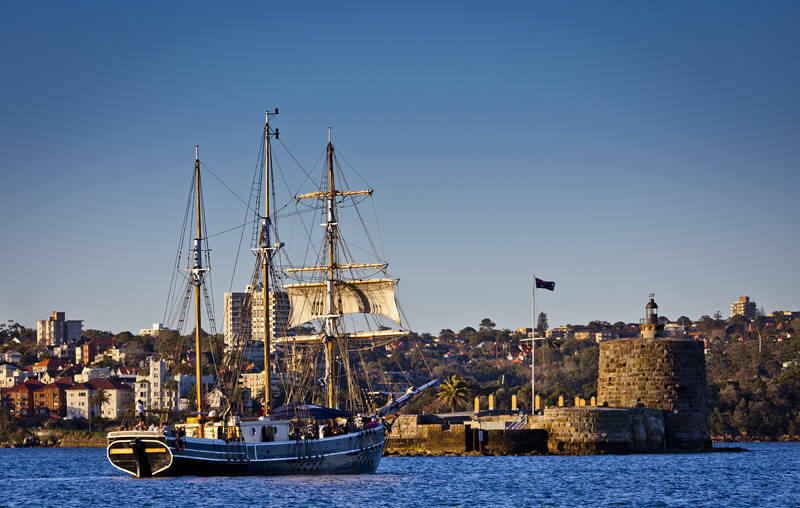 This wood ship is approaching Fort Denison in Sydney Harbour, New South Wales, Australia. The island was originally home to a 15 metre sandstone rock. It was later quarried by prisoners to build Circular Quay. Today Fort Denison is a museum and home to more than a hundred birds.